Teach311.org is pleased to introduce the inaugural essay of the “Terms of Disaster” collection. This essay collection, co-curated with Arcadia, examines the historical setting and re-setting of the conditions and context of disaster due to human language and word choices. We’ll be posting more essays soon, so stay tuned by following us on Twitter at @Teach_311. Mohsin, Anto. 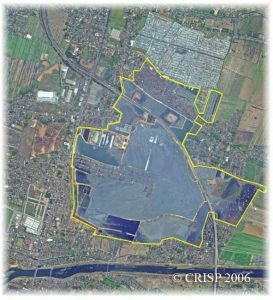 “The Sidoarjo Mudflow and the Muddiness of an Environmental Disaster.” Environment & Society Portal, Arcadia Spring 2017, no. 5. Rachel Carson Center for Environment and Society. http://www.environmentandsociety.org/node/7767. 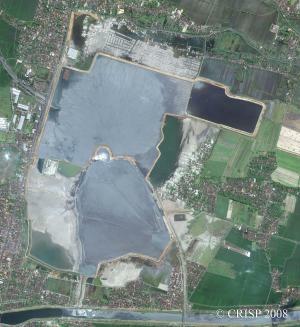 The Sidoarjo mudflow, also known as “Lusi,” a contraction of its Indonesian name Lumpur Sidoarjo, is one of the longest ongoing disasters in recent memory. 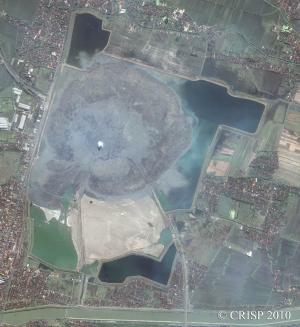 A mud volcano in the Sidoarjo district, East Java, Indonesia, has been spewing hot mud and gases since 29 May 2006. Its muck is inundating an ever-increasing area in the region. This disaster has attracted the attention of many scholars, including natural scientists (mainly geologists, but also petroleum engineers and earth scientists), humanities scholars, and social scientists, who have been examining the disaster using the analytical tools of their respective disciplines as well as drawing on multidisciplinary perspectives. Popular accounts of the disaster have also filled the pages of Indonesia’s well-known national print and digital media as well as of those abroad. 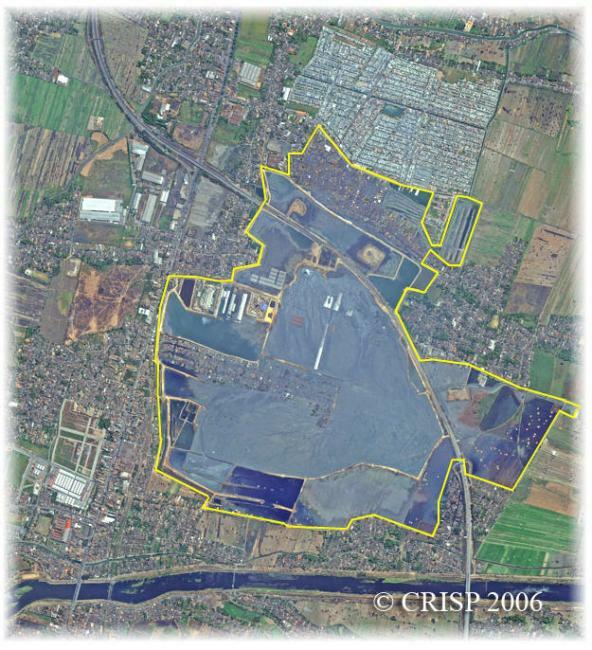 In one such article, the Sidoarjo mudflow was labeled by journalist Erin Wayman as “the world’s muddiest disaster.” This label draws attention not just to the salient physical feature of the catastrophe, but also to the unclear circumstances that led to the disaster, the ongoing debate about the cause of the disaster, and the murkiness of the government’s treatment of the disaster victims. In other words, Lusi is a disaster that is muddy literally and figuratively. The Lusi disaster is muddy in the literal sense of the word because hot mud and gases have been continually erupting from underground for over 10 years now. The mud has drowned 15 villages, several paddy fields, dozens of factories and schools, countless houses, and a long segment of a toll road. This catastrophe, according to a July 2015 Nature Geoscience article by Mark Tingay et al., has internally displaced 39,700 people and cost more than USD 2.7 billion in damages. According to a 2016 Environmental Communication article by Phillip Drake, the earthen levees constructed to contain the mudflow cover an estimated area of “10 square kilometers and depth of 30 meters.” It took me and my motorcycle driver about one hour to circumnavigate the perimeter of the dikes when I visited the site on 13 December 2016. Figuratively speaking, the debate about the cause of the disaster among scientists who have investigated it has merely served to muddy the waters. On the one hand, there are those who support the “drilling hypothesis,” which contends that PT Lapindo Brantas’s reckless drilling activities caused the disaster. Many academic scientists such as Richard Davies of Newcastle University, Michael Manga of UC Berkeley’s Department of Earth and Planetary Sciences, and Mark Tingay of the University of Adelaide support this hypothesis. On the other hand, there are other scientists who ascribe to the “earthquake hypothesis,” arguing that the eruption of the mudflow was triggered by an earthquake in the nearby city of Yogyakarta that had occurred two days earlier. 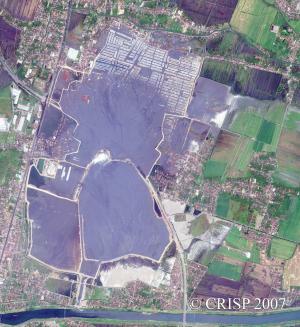 Those who fall into this camp are scientists who are affiliated with Energi Mega Persada (the parent company of PT Lapindo Brantas) such as Nurrochamat Sawolo and his colleagues, as well as Adriano Mazzini of the University of Oslo and his co-authors on a 2007 Earth and Planetary Science Letters paper that proposed this hypothesis. 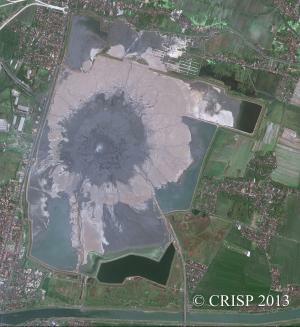 Furthermore, if the hypothesis that the mud volcano was caused by drilling is correct, there is much that is unclear about the circumstances surrounding PT Lapindo Brantas’s exploratory drilling activities. In their book Kronik Lumpur Lapindo Skandal Bencana Industri Pengeboran Migas di Sidoarjo, Batubara and Utomo claim that PT Lapindo Brantas tricked some residents into selling their lands using an intermediary by promising to build a chicken farm. Moreover, sociologist Anton Novenanto also claims in his three-part article published on the activist website Korbanlumpur.info that, contrary to what many think, some government agencies were actually complicit in allowing the company to set up an exploratory well in a heavily populated area in the first place, in violation of Indonesia’s Mining Law. Finally, the Indonesian government scheme to help the disaster victims was murky. The policies were ambivalent, haphazard, and unclear. In the disaster’s aftermath, the government issued a regulation and drew up a “map of the affected areas” (peta area terdampak) in an attempt to enclose the disaster geographically, financially, and politically. The map instead produced tensions, anxieties, anger, and frustration among residents since the compensation received was unequal. Subsequent amendments to the regulation did little to assuage the angst of many victims until late 2014, when a new government decided to settle the compensations once and for all. Even so, some environmental, health, and social problems persist. These issues afflict both residents who have lost their properties and those who were not directly affected by the disaster.